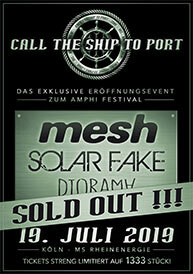 The Amphi Festival opening event CALL THE SHIP TO PORT is a phenomenon! 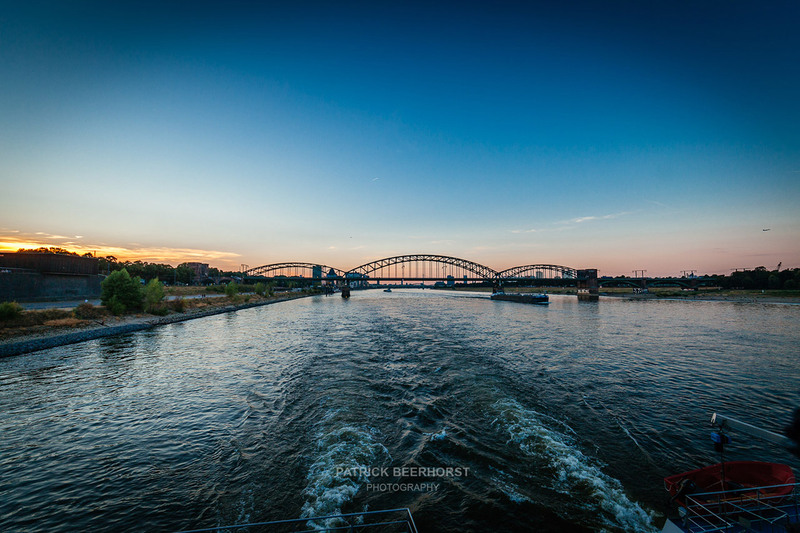 Brought to life first in 2013, we return to the MS RHEINENERGIE again in 2019 for another exclusive extravaganza, when the epic Rhine panorama unites with massive beats, forming a symphony of images, sounds and emotions. If for the rhythm of the music or the sundown on deck - CALL THE SHIP TO PORT is a special experience, sharing its fascination with anyone who once stepped aboard the unique European event catamaran. Please take note: CALL THE SHIP TO PORT requires a separate "CALL TH SHIP"-ticket! The opening event is not being included in the regular weekend ticket! All tickets are available exclusively at Amphi Ticketshop while stock lasts. 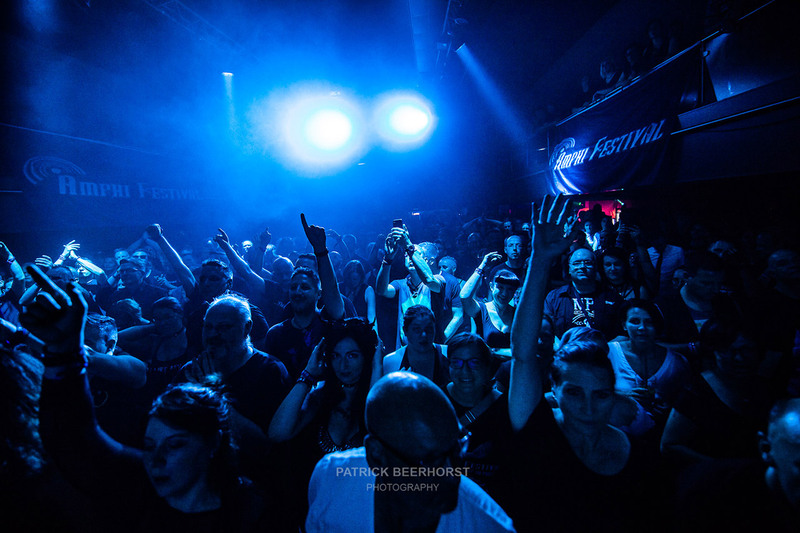 Upgrades are only available for visitors who already ordered/own a 2019 weekend ticket or who order their upgrade together with a Amphi/E-tropolis 2019 combi-ticket. Brought into service in 2004 and powered with 3680 kW, the 90 meters wide and 19 meters long MS RheinEnergie is a real authority on the Rhine which even enjoys blessings from above since Pope Benedict XVI’s presence on board during the world youth day 2005. It doesn’t come by surprise that the “wall of fame“ inside the eventship stands adorned by many photos of celebrities from music, television, politics and society who visited the ship ever since. 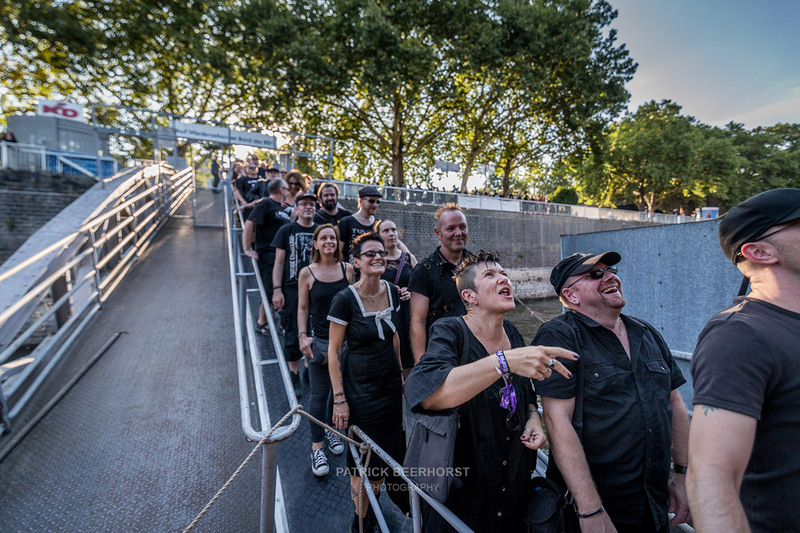 It was in 2013 when the MS RheinEnergie took its first excursion into the dark waters of the gothic scene by having our Amphi Festival opening-event and we tell you, it was love at first sight! Once you step on board it’s impossible to resist the singular atmosphere. With 2000 m² of floor space, seperated into main deck, upper deck and sun deck, the MS RheinEnergie offers room for up to 1650 passengers, depending on the kind on the individual set-up. At the same time the fully climatized concert hall stands ready to compete with any landside club, for it features a 50 m² stage with a modern sound- and light-system. The stylish gallery on the upper deck offers a heightened view upon the stage and comfortable seats for a great prospect over the Rhine. Sitting at windowside, ahead at the bow, in the main hall or back at the stern, you can enjoy your time with a refreshment from the bar, while the concert action rocks the floor beneath. Best with beautiful weather, the ship’s 1200 m² sized sun deck has become a highly popular place in the past. Some Amphi fans already found themselves fully charmed by the beautiful sundown-setting of the Rhine and spent the entire evening, sitting on the deck, having a blast in good company. 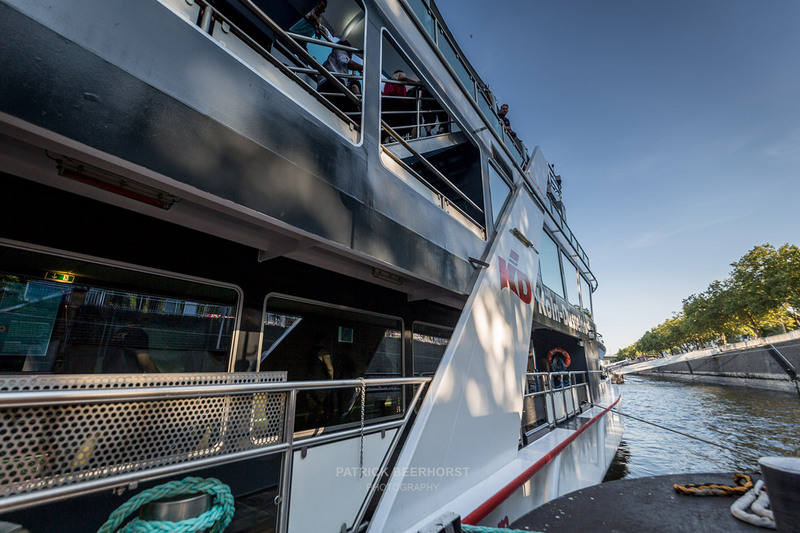 For visitors with handicap the MS RheinEnergie was built completely barrier free. All decks are accessible effortlessly by a lift located at the bow section of the entrance level. The bow further includes a service area with restrooms and the wardrobe. 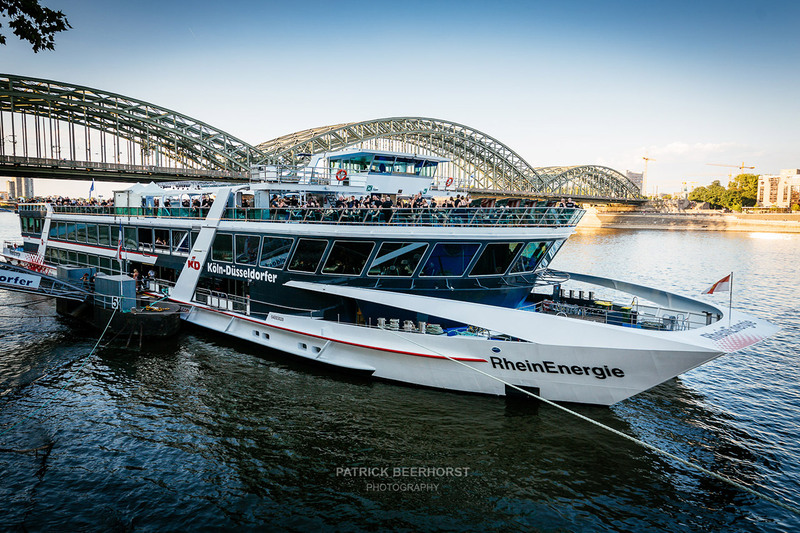 The MS RheinEnergie returns to Cologne at approx. 00:40 o’clock! In case of insufficient water level (low-tide) times may vary. All changes to the course of the event will be announced timely in advance. 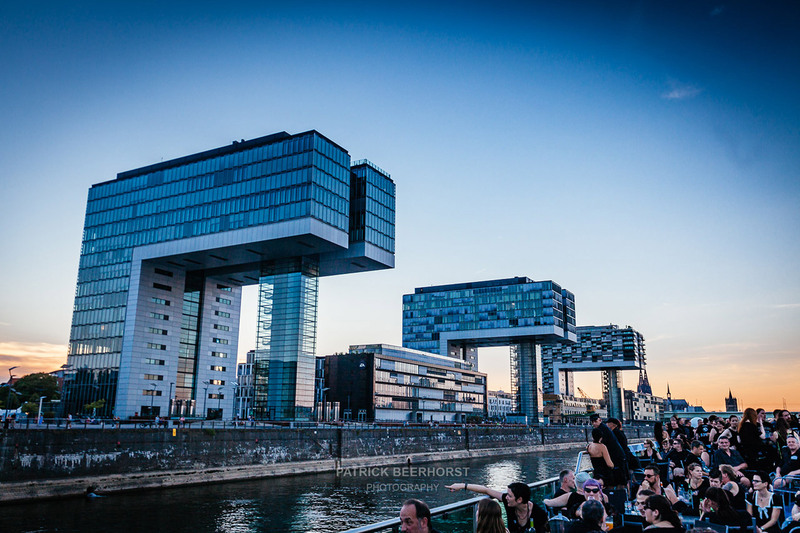 The boarding bridge is located at “Kennedyufer”. From Tanzbrunnen Cologne you walk approximately 250 meters straight ahead towards “Hohenzollernbrücke” and that’s it. Please take sufficient time for the journey and target to be at the boarding bridge not later than 7:00 pm. The MS RheinEnergie will leave at 8:00 pm sharp. Once the ship left, there will be no further opportunity to get on board. The ship can’t wait for belated arrivals. In case you missed the departure, there will be no refund of the ticket price. At 6:30 pm the security will begin to check all entering passenger’s bags. This will secure a quicker admission process for everyone. The common rules for the Amphi Festival (like e.g. no beverages, food, weapons, pyros, pets, video- and audio equipment…) also apply to the opening event aboard the ship. As usual photo cameras (also lens-reflex models) are explicitly allowed! For more information about our general terms please check here: www.amphi-festival.de/agbs.html. Once aboard the ship, you can collect your Amphi Festival wristband. Therefore we will open a counter at the rear section of the upper deck (1st Level) at 7:00 pm. Just stop by. We are there for you the entire evening. Please use the free parking spaces of the KölnMesse (official festival parking spaces) for CALL THE SHIP TO PORT as well. Travel via the Deutz-Mülheimer Straße. Follow the instructions of the exhibition's traffic guidance system ('Messe-Verkehrsleitsystem'), leading to "Amphi Festival". Parking spaces are open from Friday 02:00 p.m. until Monday 08:00 a.m.
Do not park your vehicle at Rheinparkweg / Kennedyufer or the marked no standing areas in the vicinity. The local regulatory agency personnel is authorized to rigorously tow illegally parked vehicles at their owner´s costs. In case of an emergency security personnel and medical assistants will be on board during the event. The MS RheinEnergie also has sophisticated boundaries (railing) that meet the official regulations of passenger transportation on domestic ships. Yet we ask you to respect the situation of being on a moving ship. Strictly avoid climbing at/over the railing. This concerns particularly the sun deck. Climbing on and over the railing is life-threatening! If you notice someone trying to climb on/over the railing, please call for the security immediately. Due to big time gap to the actual event, short-term changes of the organization may have to be applied. All changes will be announced on our website www.amphi-festival.de timely before the event. Please take this site as source for all the latest information and possible updates. Thank you!